The DVMEGA DVstick30 dongle brings a new evolution in digital DMR and D-STAR access. With this dongle it is possible to be on DMR and D-STAR networks without radio and with a Windows PC equipped with a sound card, a microphone and a speaker. Perfect to be QRV (Operational) in DMR or D-STAR from a laptop. 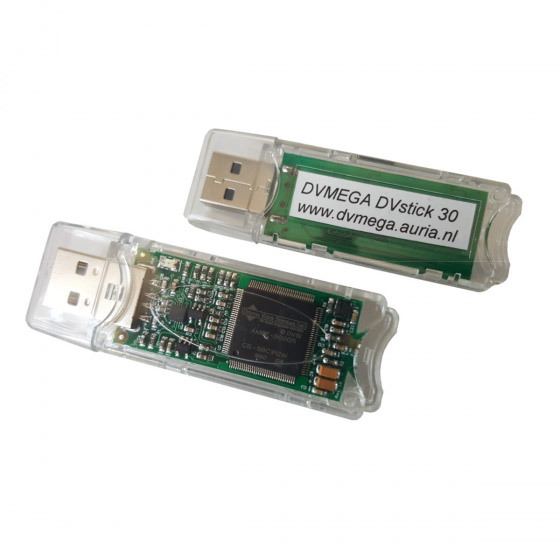 The DVMEGA DVstick30 runs on Windows with the BlueDV software. DVSI’s full duplexAMBE+2™ Voice coder. Data rates of 2.0 kbps to 9.6 kbps in 50 bps increments. Compatible with, BlueDV, AMBE server, Dummy repeater etc.d. Variable FEC Rates 50 bps to 7.2 kbps. Vocoder configuration via configuration packets.